The end of summer is approaching quickly, and as students are heading back to school, the national conversation surrounding school security remains at the forefront. Parents, teachers, lawmakers, and administrators are all seeking new methods of keeping students safe. As institutions investigate new or enhanced security systems, the innovative application of existing and emerging technologies could be a simple answer to their looming security questions. 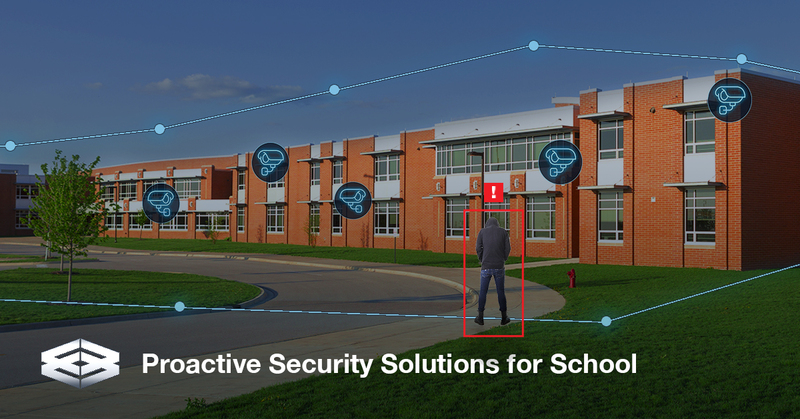 Edgeworth Security is working with several school districts to install proactive, state of the art school security systems that feature high-tech cameras with built-in facial recognition and night vision. These systems not only record incidences but also send live feeds to faculty’s mobile devices. 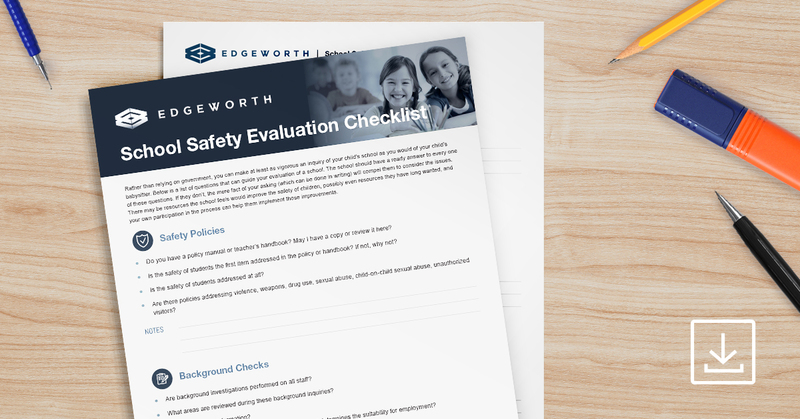 Beyond installing advanced security systems, Edgeworth’s Remote Guarding, a comprehensive combination of security technologies with built-in AI coupled with live-monitoring from highly trained agents, can provide schools with much needed preventative security. School security is a complex and constantly evolving landscape on both K-12 and college campuses. There are many areas of ingress and egress to cover, too many for only a single security guard or even team of security guards to effectively cover. Remote Guarding overcomes this limitation to provide comprehensive campus coverage. The battle to save lives starts long before the front door. A proactive security solution like Remote Guarding can recognize an impending threat before a dangerous incident occurs. Through the elements of Digital Line Barriers, Smart Cameras, and Voice Down Live Communication combined with years of experience, Edgeworth’s Remote Guarding is uniquely positioned to effectively and proactively tackle campus security. Potential threats can come from either inside or out, and Remote Guarding can assess them in real-time. These potential threats are identified with digital alerts and handled through real-time live monitoring. When authorities responded to reports of an active shooter at Marjory Stoneman Douglas High School in Parkland, Florida on February 14, 2018, they didn’t know the feed from the school’s security cameras was delayed by approximately 20 minutes. * This delay made the precarious job of the first responders more difficult due to a lack of pertinent information. Edgeworth’s state of the art technology provides real-time management of events, free from any delays. Edgeworth’s people, processes, and technology, as well as our relationships with law enforcement, mean that first responders have the critical information they need as incidents unfold. This accurate, in-the-moment information helps mitigate chaos and bring incidents to a faster conclusion. The hope is that there is never a security event at any campus. However, administrators need to be prepared for every possibility. Edgeworth’s Remote Guarding can identify and track a perpetrator anywhere on campus. Our highly trained agents can communicate with students and staff, so they know if they need to hunker down or it is safe to evacuate a dangerous area. Beyond active crisis communication, Edgeworth’s implementation of panic buttons and door securing mechanisms can isolate, or even neutralize, a potential danger. Securing campuses has become a necessity in the 21st century. Leveraging decades of experience, Edgeworth can achieve the highest level of safety without making a place of learning look and feel like a prison. Through thoughtful implementation and integration of an Edgeworth-designed security system, the normal happenings of campus life can continue unencumbered, while ensuring that potential threats are prevented where possible and effectively managed where unpreventable. If you are interested in learning more about how Edgeworth can secure your campus, please contact us for a security consultation.